SKLD Ionia is keeping it positive and honoring staff. 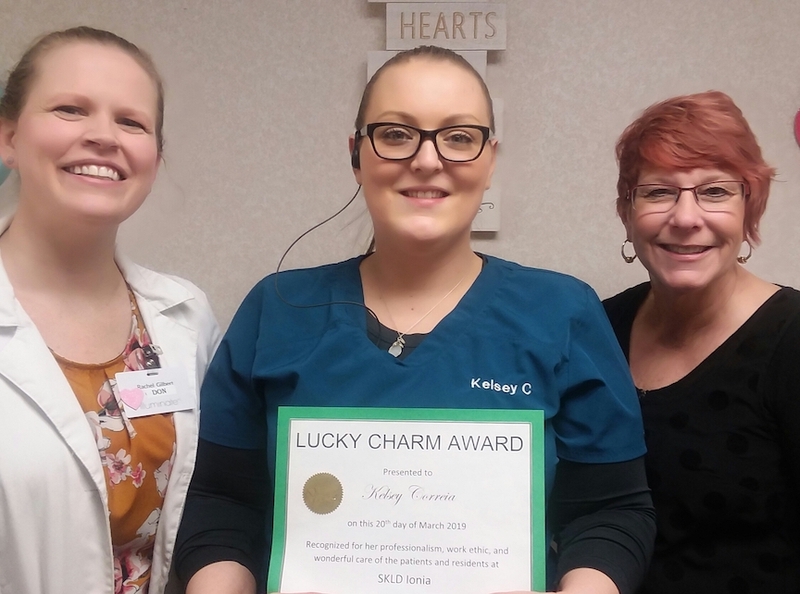 Since the end of February and throughout the month of March, employees have been being honored on “lucky” shamrocks, which are displayed in the facility. Staff are being recognized for their excellent work, good deeds and professionalism. From these symbols of recognition, one lucky shamrock was drawn to receive the Lucky Charm Award. SKLD Ionia’s management team is looking forward to the months ahead and continuing to develop positive programs to create and secure a positive working environment while providing excellent patient care.